Okay, so you’ve been wandering the interwebs for some time now, and you’re starting to recognize some names out there. Names you’ve heard repeated throughout blogs and on social media. You may have even clicked over to their blog to check them out. Maybe they are the blogger you dream of being, or the self-development guru you go to for inspiration. These are the best people to follow! The ones who lift us up, who guide us during troubled times in our online business, the ones who give advice and who are tangibly available to talk to through the magic of the internet! They’re our internet online-friends, and our mentors whom we’ve never met. They’re the ones that Rachel Hollis says we need to listen to and learn from as our mentors! The ones who give you true value and really help with all they’ve got. But it can be hard to find the ones you really connect with, whom you recommend to your real life friends, and those who’s journey you want to follow. So I wanted to save you some time weeding through the interwebs and numerous other blogs and noise out there to give you the best of the best when it comes to online business and personal dev. Since both go hand-in-hand, these bloggers often talk about one or the other or both topics. These are my favorite bloggers of the moment! The ones you are missing out on if you aren’t following! Here are the 5 online leaders that will inspire you and help business growth! Because she is very professional, high quality content, loves her audience, and has the freedom to travel wherever she wants and meets awesome people. She’s worked with Gary Vaynerchuk, narrated a chapter in his book, runs a video marketing business with her husband and totally crushing it. I love her – and it’s hard not to be envious of that cute face and totally gorgeous style! Using video to improve digital marketing for business – and going after the life you want! You can find Amy here! Melanie has freedom in her life, she lives unbalanced between work and play which I love, because I don’t like to choose specific times to work or play either. I don’t like to follow the rules that way – what rebels we are! She teaches how to start and scale successful online businesses, whether that’s a podcast, ecommerce shop, or something else! Her style is something I envy, and try to absorb into my own business. Never underestimate the power of branding! Using freedom to improve your success as an entrepreneur. “Work from wherever” is her tagline. I first found Allison when I was taking some of the courses in the Genius Bloggers Toolkit. It turns out, her idea of running a business and how she actually works and functions actually aligned well with my own mind – and that’s rare! You can have tons of people teaching blogging, but if what they say doesn’t resonate with you or help you understand or take action – they’re the wrong teacher for you! Her methods of productivity and saving time while working and growing her business is very similar to how I like to do things and it gave me a clear birds eye view of where to take my business, while seeing the nitty gritty details. Her videos are good, funny, informative, entertaining – all the things. Check them out! 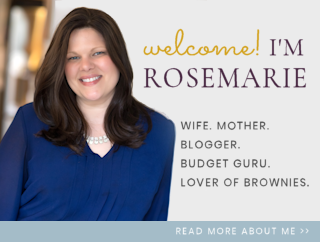 Rosemarie is in the Elite Blog Academy with me – and she had some fantastic results starting the blog from the ground up. She’s known for tough love, no BS, and super valuable actionable tips! I’ve purchased her Date Your List ebook and it was fantastic in helping me determine the value of my email list! She used to be a deputy and then became a blogger to stay home with her family. Something along those lines – and she’s totally right! Blogging and running an online business isn’t really a difficult job. It takes work like ALL jobs – wouldn’t you rather do one you love? I actually really love reading her income reports. She stopped doing them because her income got so high from blogging that she was afraid her readers would find it less relatable. Instead, she opened her doors to other bloggers where she was able to point out, from a business standpoint, what they should be doing at any given time. She’s a list-slasher – and will tell you just like it is, and what you need to do next! It’s really valuable information if you’re a blogger, check them out here! You can find her here or here! Allison, in three words: Colorful, Happy, Unicorn. Yep, lol! Her backstory is that she worked on her business tirelessly for 10 years before she realized she was doing something wrong, and took a lot of action to resolve the issues in her blogging business. She launched lots of courses, and did a lot of failing forward, and today she’s totally KILLING it with her magic, and I hear her courses are amazing! Using tangible actions to cure overwhelm for entrepreneurs – teaching sales, marketing, and overall self-improvement! Her new podcast is fantastic! You should definitely listen to a few episodes! Another SUPER great resource of hers is her Facebook page, where she’s uploaded webinars that talk about sales funnels – it’s really full of value and packs a punch! Check them out here! And her awesome Youtube channel! Okay okay, I know I said 5, but I really love Jessica, too! I had to include her just for the sheer value she provides, and her cute Instagram story videos lol. If you learn toward the more techy things, or need help with the tech stuff and market stuff – she’s the girl for you! Don’t forget to check out the rest of her Youtube channel and blog – oh, and her newsletters are always good! She’s got TONS of helpful content for online entrepreneurs! So, what do these leading ladies all have in common? – They all try to help entrepreneurs and business owners live their best lives! Head on over and follow these lovely ladies – they’ve all made a difference in my life and my online business in some small or big way! These are the women I aspire my life after as an online CEO, and how I align my life and beliefs with. These are my PEOPLE! So if I’m your people, they might be your people, too!